This jacket offers a high degree of warmth and versatility in a functional and stylish package. Marmot has a reputation for producing high-quality outerwear and their KT Component jacket is a good example of this. This quality ski jacket has a high level of versatility thanks to its 3-in-1 design that allows the user to choose the jacket configuration that best suits the activity and the conditions. It is also impressively warm when worn in its full configuration and highly weather resistant for those stormy days on the mountain. It has ski features like a powder skirt, sleeve pocket, and a removable hood that can fit over a helmet when you need to batten down the hatches. Its casual, understated styling gives it timeless appeal and also enhances its versatility for use away from the ski hill. With a retail price of $425 we also think it represents a decent value, until you factor in The North Face 3-in-1. The KT Component performs on par with the Thermoball Snow Triclimate but costs $75 more, so be sure to check that model out as well. Marmot has been making top quality outerwear for a very long time and the KT Component 3-in-1 lives up to the high expectations we have for their products. The modular nature of the 3-in-1 design makes this a highly versatile option that can be worn in 3 distinct configurations depending on the activity or the conditions. When worn in its full configuration it is impressively warm, and we found the shell to be highly weather resistant thanks to the Gore-Tex membrane, powder skirt, and helmet compatible hood. We feel this is an excellent option for the frequent resort skier with crossover appeal for use around town thanks to its understated styling. Ripping some groomer laps while testing the KT Component jacket. During our testing, we found the KT Component jacket to be plenty warm. It isn't the warmest jacket in this review, but we never felt that its warmth was inadequate. When worn as a complete system, with the insulated liner zipped into the outer shell, it is at its warmest. The liner jacket is relatively thin with Thermal R insulation evenly distributed throughout. The outer shell consists of a Gore-Tex 2-layer fabric with a hanging lining. When all of these layers are combined, the 3-in-1 jackets have an additional 2-layers of fabric, the hanging lining and the outer shell of the liner jacket. Compared to the single piece insulated jackets, that helps to enhance the modular models' heat-trapping capabilities. When worn in its entirety the KT Component jacket is plenty warm. The 3-in-1 versatility gives you the option to adapt to the current conditions. We found the warmth of the KT Component to be on par with most of the other 3-in-1 style jackets in this review like the Patagonia Snowshot and the North Face Thermoball Triclimate. We did find the Columbia Whirlibird III to be warmer than all of these competitors with a loftier liner and their Omni-Heat thermal reflective lining. The single piece insulated jackets in this review, like the Helly Hansen Alpha 3.0 and the Spyder Leader were slightly less warm than all of the 3-in-1 models. The high-end, single piece insulated competitors, like the Arc'teryx Macai and the Patagonia Primo Down, are essentially down jackets in a quality hard-shell. Both are a little warmer overall than the Marmot jacket. None of the shell-only jackets we tested can come anywhere close to the warmth of the KT Component when worn in its full configuration. When worn as a shell only, the hanging lining present in the Marmot jacket gives it the slightest edge in warmth over other shells like the Flylow Lab Coat and the Arc'teryx Sabre. The KT Component jacket is well designed to ward off the elements. Thanks to their use of a Gore-Tex 2-layer fabric, you will stay dry, and we found this be true both during our shower test and in the field. During shower testing, we did experience a slight amount of "wet-out" on the chest where the seams of the main zipper and the pocket zippers all come together. The wet-out was minimal, and there was no chance of the water penetrating the waterproof membrane beneath. The KT Component always kept us warm and dry, but we did experience some minor wet-out during our shower testing. To further resist the elements, Marmot has added an attached powder skirt, adjustable velcro wrist cuffs, and a highly adjustable removable hood that can accommodate a ski helmet. When you need to cocoon yourself in this jacket, you certainly can. Our biggest gripe with its weather resistance and this applies to all the 3-in-1 style jackets, is that when the liner is zipped into the shell, it conflicts with the use of the powder skirt. The removable hood is plenty big to accommodate a helmet and easily adjustable. Our highest rated products for weather resistance, like the Arc'teryx Macai and the Arc'teryx Sabre, are made with bomb-proof constructions and 3-layer Gore-Tex materials. Both are also impeccably well designed with all waterproof zippers and the ability to completely seal yourself off from the elements. In general, we found the fit of the KT Component jacket to be pretty good. The cut is a bit on the boxy side, but it has good length sleeves and inseam with a little drop in the tail. The boxiness is a result of the modular 3-in-1 design as the shell accommodates the liner jacket as well. We found this be a common theme among the other 3-in-1 style jackets in this review, as a contoured fit is sacrificed for the functionality of the modular jacket system. The fit is generally good but a little boxy. The comfort is affected by the bulk of the 3-in-1 design, but not as much as other models. From a comfort standpoint, we found the KT Component to be more comfortable than most of the other 3-in-1 jackets we tested. This is largely due to the thinner liner jacket that has a lower profile and less bulk than the competition. This makes the jacket as a whole have a less bulky and constricting fit, especially when compared to the Columbia Whirlibird III, for example. This is especially noticeable around the collar where the reduction of bulk results in less bunching and constriction. The size of the neck opening is also quite good and it is easy to tuck the lower part of one's face inside it for added protection from the elements. The jacket also has adequate articulation in the arms by the elbows and the shoulders that enhance its comfort during use while actually skiing. All that said, if you're looking for the pinnacle of fit and comfort, look no further than our Editors' Choice Award-winning products from Arc'teryx, the Macai and the Sabre. The ventilation of the KT Component jacket is a little bit of a mixed bag. While it does offer incredible levels of insulation adjustment due to its modular 3-in-1 design, the pit zip vents on the outer shell are quite short, and they are blocked by the liner jacket when that is zipped in. Of course, you can simply remove the liner jacket when things begin to heat up, or wear either the liner of the shell separately depending on conditions, which is as good or better than simply opening some vents. That said, it isn't quite as easy as just opening vents either. While the ability to vary your jacket configuration depending on the conditions is excellent, the small vents on the outer shell are quite small and can't quite match the ventilation capabilities of larger vents found on other competitors. The pit zips on the KT Component are short, about half the length of most of the other jackets in this review. All of the 3-in-1 style models in our test have similar levels of insulation adjustability and overall ventilation. That said, the pit zip vents found on those other models, like the Patagonia Snowshot and the Columbia Whirlibird III are larger and provide more ventilation than those found on the KT Component. If you're looking for the ultimate in underarm ventilation, check out the Outdoor Research Skyward II with vents that stretch from the bicep to the hem of the jacket. Our testers and the people we polled during testing feel that the KT Component jacket has a very crowd-pleasing and timeless style. The lines are clean and it has an understated casual look that belies its technical features. It comes in solid colors only and relatively muted tones with waterproof zippers as tonal color pops. The shell has a subtle Marmot logo on the left chest above the zipper pocket and another smaller logo on the back right shoulder. This jacket looks just as appropriate kicking around town or doing errands as it does busting out laps from the chairlift. The liner jacket is also a solid color with thin baffles that are typical of lightweight insulated jackets. We weren't crazy about the light blu-ish/green-ish color of the liner, but it does have a similarly casual and timeless look that is versatile enough for the ski area and any other activity. It has a super casual look with solid colors, clean lines, although the fit is a little on the boxy side. We feel this a good style for the resort skier. It doesn't look especially technical like the Norrona Lofoten or the Arc'teryx Sabre and most of the time we think that is a good thing. It also doesn't scream "I'm a skier" like the Spyder Leader with its blocky colors and tighter fit. We think the KT Component strikes a good stylistic middle ground. The KT Component jacket checks several of our boxes when it comes to ski specific features. The inclusion of a powder skirt is quite standard, and this one is permanently attached. The powder skirt works very well when the outer shell is worn on its own, but when the liner jacket is zipped in it conflicts with the use of the powder skirt. In this situation, you can still get it snapped and use it, but it causes some minor bunching of the liner jacket in the lower front. In addition to the powder skirt, the jacket has a helmet-compatible hood. Its a snug fit over the top of a helmet, but the brim of the hood extends out just slightly past the front for additional weather protection. The hood is removable, plus it has easy to use adjustments for use without a helmet as well. On the left sleeve, there is a zippered pocket on the forearm that works well for an RFID ski pass, chapstick, or any other small items that you wish to access quickly and easily. The pass pocket on the sleeve of the KT Component jacket. Like most of the jackets in this review, the features that the KT Component does have are appreciated and useful, while those that it lacks tend to go unnoticed. So, while it does have a few ski features that make life a little more pleasant on the ski hill, it doesn't top the charts in this rating metric. If you're looking for the most fully featured ski jackets, we recommend the Helly Hansen Alpha 3.0 and the Spyder Leader which have the little bells and whistles. The KT Component is a great option for the occasional to frequent resort skier. No matter how often you visit the ski resort, or in what conditions, this jacket is up to the task of keeping you warm, dry, and comfortable thanks to its adjustable modular design. This is also a good choice for the skier who only has one winter jacket. Its casual style looks good both on and off the ski hill, and again has you covered for a variety of conditions thanks to the 3-in-1 design. At a retail price of $425, this is the most expensive 3-in-1 style jacket in this review. Of course, you do get three jackets for the price of one, so there is a definite value in that fact alone. This jacket is more than double the price of our Best Buy Award winner, the Columbia Whirlibird III, but it has a more refined fit, a higher degree of comfort, better style, and appears to be significantly higher quality. If you're more than just an occasional skier, we would recommend the KT Component over the Columbia jacket all day long. It is also just a few dollars more expensive than the Patagonia Snowshot with a similar level of warmth, weather protection, style, and quality, though the Marmot jacket narrowly edges it out in our scoring. Both jackets will serve the frequent resort skier well for roughly the same price. We must say that we find more value in the less expensive North Face Thermoball Snow 3-in-1. The KT Component is a quality 3-in-1 model, we would recommend it to anyone seeking a casual look in a performance jacket combination. The 3-in-1 jacket isn't for everybody, but it can be a very economical purchase for the right consumer who seeks versatility and good value. The Marmot KT Component is one of our highest rated 3-in-1 contenders, offering good warmth and weather protection in a casually styled package. This quality jacket has you covered for all conditions with all the basic ski features that will enhance your days on the mountain. If you're on the fence about a shell-only or a single-piece insulated model, then this is a happy medium that won't let you down. Amazon $297.47 - 30% off! 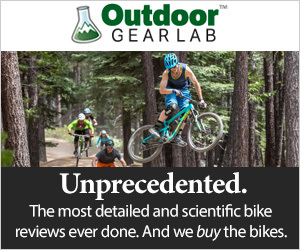 REI $339.93 - 20% off!